Nanotechnology cell phones of the future? Want to wear your cell phone as a bracelet? 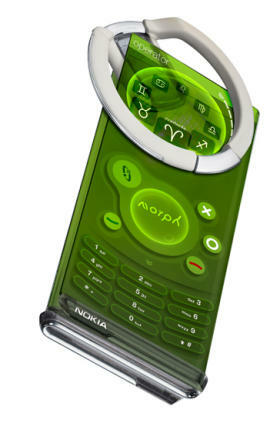 Nokia unveiled its new “Morph” concept phone, a solar-powered, self-cleaning surfaces, transparent electronics and shape-shifting mobile device. 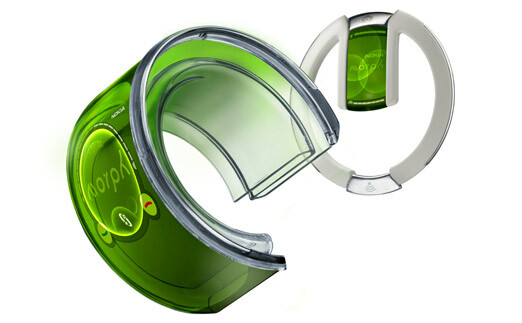 These devices are made using nanotechnology and are intended to demonstrate how cell phones in the future could be stretched and bent into different shapes, allowing users to “morph” their devices into whatever shape they want. Morph a really amazing concept introduced by Nokia on their official website. It’s like your mobile phone will be a programmed living organism. This miracle gadget would be having 10,000 transistors to form a single hair of a housefly. These transistors will enables to sense each and every thing which comes in its contact. Nokia is not the only phone maker turning to nanotechnology for future phones. Other companies, including Motorola, are also looking into the technology to help shape future devices. But you’ll probably have to wait a lot longer for the luxury of turning your handset into a watch just by placing it on your wrist and locking in its shape. This technology is still in early development; Nokia believes that certain elements of the device could be used in high-end Nokia devices within the next seven years. And as the technology matures, nanotechnology could ultimately be integrated into Nokia’s entire line of products to help lower manufacturing costs. 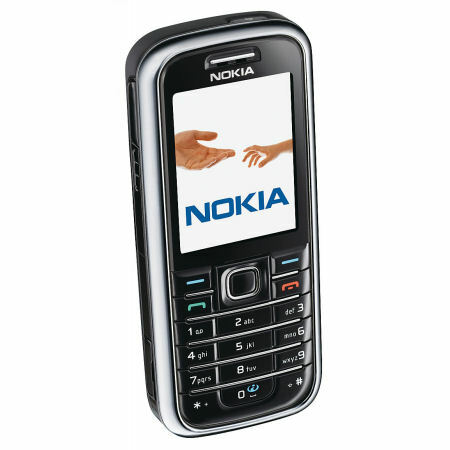 Nokia 6233 is a reasonably priced 3G handset that performs outstandingly with features it does possess. It is a classically-designed handset that is easy-to-use, and which builds upon the success of previous models like the 6230i, but packs a little more punch. If you want good value for your money go for Nokia 6233 for just Rs. 8,100/-. It is cheaper than N73 which costs around Rs. 15,500/- in the market. I dropped this handset several times and still there is no damage to the handset not even a single scratch. The battery power is very good. It is a relatively small size 3G phone with stainless steel finish and comes with microSD card support up to 2GB. It comes with in-built stereo speakers and 2-megapixel camera.